Four days after launching 123m Project Jupiter, Lurssen has revealed another spectacular superyacht. Measuring approximately 135m, the vessel was seen being moved into the German shipyard’s facility near Bremen. In June 2015 it was announced that yet another superyacht with a name inspired by a James Bond movie would be built, the 66-meter Spectre. The order for the vessel was placed by American businessman, John Staluppi as the owner's 7th yacht. 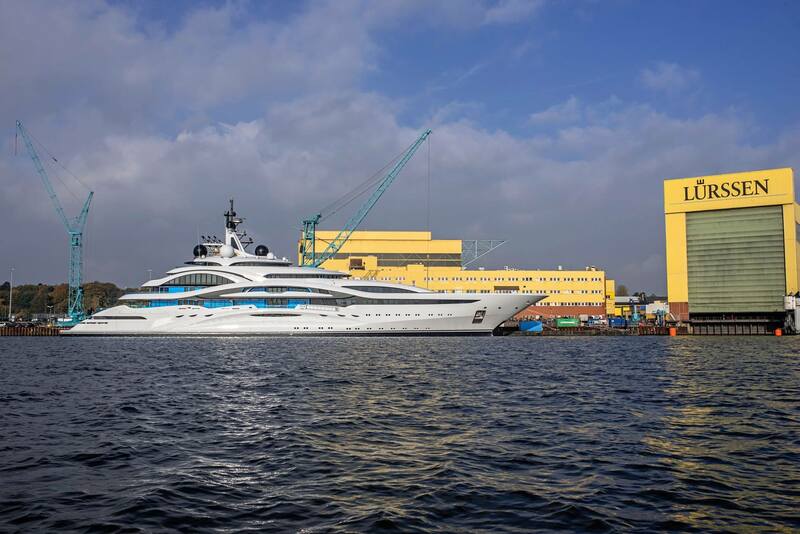 Dutch Yachting has shared the photos from Oceanco's facility in Alblasserdam, with the two new yachts moored together. Y712 sailing yacht hit the water for the first time at the Keppel Verolme shipyard in Rotterdam in September. 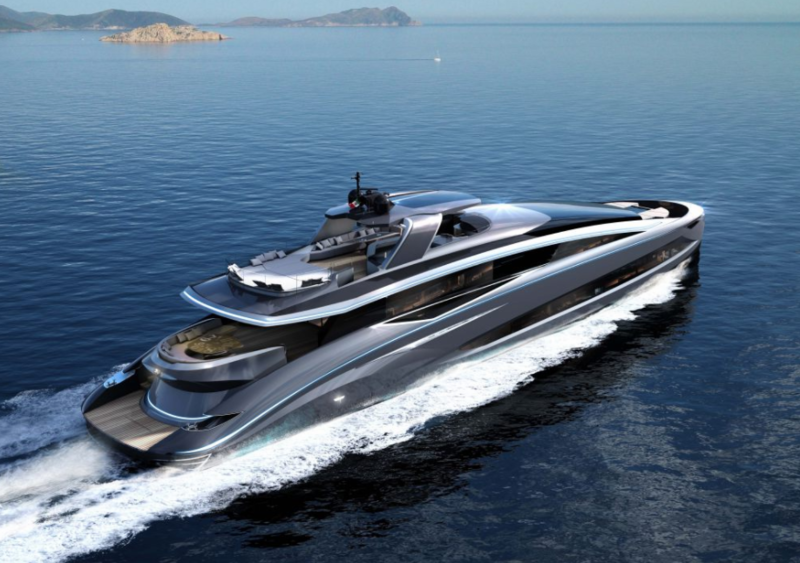 Nuvolari Lenard Design is responsible for both the exterior and interior design and Oceanco & Dykstra Naval Architects for the naval architecture. 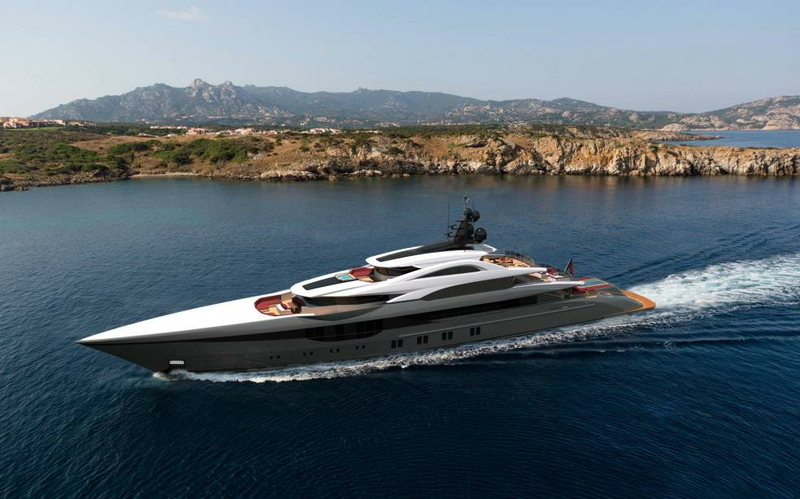 As for the Y715, she measures 88.5m and has her exterior designed by Sam Sorgiovanni. With a beam of 14.2m and a draft of 3.9m, the superyacht has a steel hull and aluminum superstructure. The number of yachts over 80 meters has sharply increased over the past few decades and, with Lurssen launching 3 megayachts over 100 meters in under a week, it seems we have now entered into the golden age of megayachts. In the past week, Germany-based Lurssen has launched the 123-meter Project Jupiter, the 111-meter Project TIS and an unknown 130m+ superyacht. Dutch-based, Oceanco have recently launched a new 88.5-meter superyacht and have completed a 106-meter sailing yacht which are now moored together at their Alblasserdam facility. The shipyard is also working on the 110-meter Project Jubilee, which is scheduled to become the largest yacht built in the Netherlands upon its delivery. 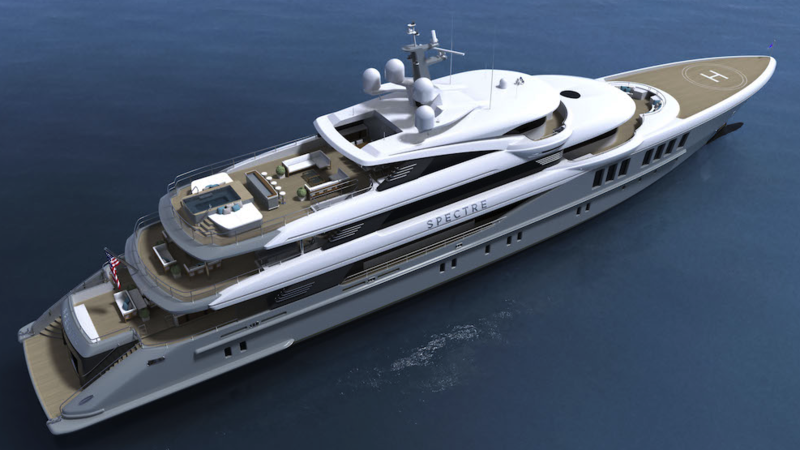 Turquoise Yachts is also working on a megayacht of its own with a 77-meter as well as a 66-meter already in construction. Turkey-based, Dunya Yachts are also building 100m Project Blade for the owner of Axioma. Istanbul-based shipyard Bilgin has secured the build of its second 80m Bilgin 263 superyacht. Destined for a repeat client, she is the biggest boat to be built in Turkey. The superyacht will be powered with two MTU 16V 4000 M63R engines, which are scheduled to be delivered this month. The Bilgin 263 series was designed and engineered by Unique Yacht Design whilst the interior was once again entrusted to the talent of H2 Yacht Design studio. 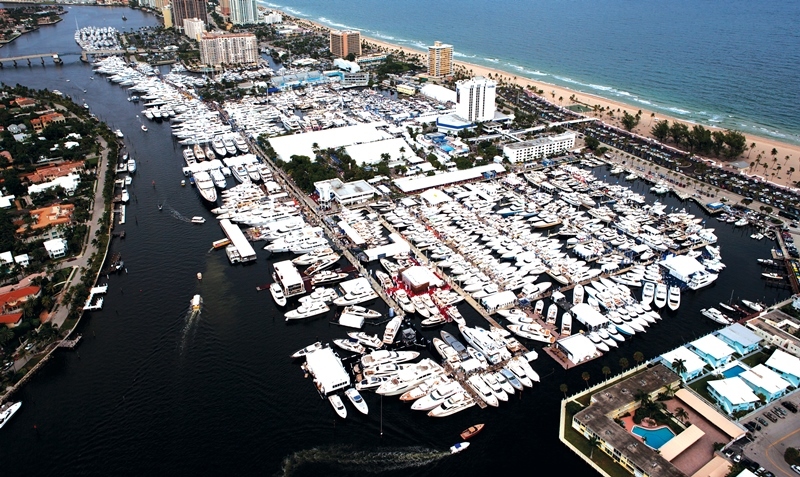 Arguably the main yachting event in the United States and a suitable finish line for what the superyacht industry refers to as boat show season, the 57th Fort Lauderdale International Boat Show is set to start today for 4 days of yacht-hopping and cocktail parties. Here's what you should look out for this year. 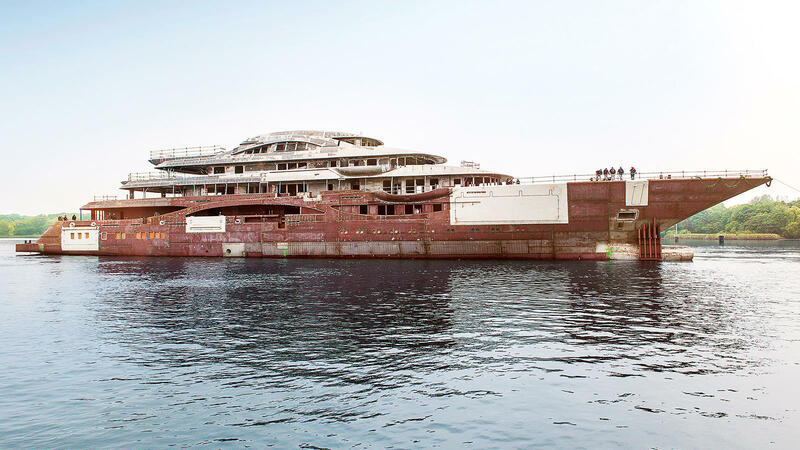 TV, the 78-meter Lurssen built in 2008 as Madsummer, will be the largest superyacht to attend the show this year, boasting a price tag of €92,000,000 following her €38 million price reduction back in July. The 63-meter Lady Lola and the 62.5-meter Party Girl will also be amongst the largest yachts at the FLIBS show. 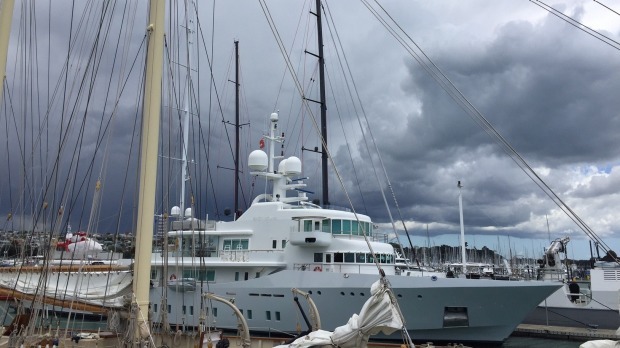 Nzherald.co.nz reports that superyacht Senses, owned by Google co-founder Larry Page, is back in Auckland, New Zealand. Measuring 59m, the vessel is believed to be undergoing more work following a major refit in the city last summer. The Italian Sea Group has announced the sale of a Tecnomar EVO 115 to a customer in Far East Asia. This project is the first destined for the region, which makes it even more significant. The 35m yacht will be built at the shipyard’s facility in Marina di Carrara, Italy. The first EVO 115 will feature interiors and exteriors specially conceived for the Asian and Chinese market. It's been a busy week for the German shipyard: a few days after launching 123m Project Jupiter, unveiling new 130m+ superyacht and having the Blohm+Voss yard purchase approved, Lürssen reveals another superyacht - 111m Project TIS. Although the details about the project remain scarce, it is confirmed that British studio Winch Design is responsible for her exterior and interior spaces. TIS has 6 decks and a beam of 16.8m. Lürssen reported that the technical launch of this secretive project took place on October 19th, 2016, coming 11 months after the keel was laid. Our colleagues from Dutch Yachting report that the transport of Y715 from Oceanco’s shipyard in Alblasserdam to Keppel Verolme in the Botlek took place on October 30th. The newly launched 88.5m yacht, which was transported on a barge and assisted by tugs Broedertrouw II and XIV of Koninklijke Van der Wees Transport Groep, is expected to be lowered into the water tomorrow to return at the shipyard soon afterwards for her final fitting out.